What does it mean for an employee to be engaged in a job? Employee engagement is a key company initiative that continually shapes employee performance and promotes continuous improvement. Companies must create a culture that allows employees to become engaged. They can do this by giving them the training and tools needed to make choices that are good for the business. Employees who choose to engage in their job use their training and tools to accomplish tasks. Also, they drive projects to completion, and learn things during the process that make them more valuable to the company. Talent management might take the form of competing in an international marketplace for employees with specific skills and experience. It might also take the form of inducing higher performance levels from current employees through the use of effective programs both for the individual employee and for the organization as a whole. Continual development and growth through learning opportunities provides many employees with a pathway toward higher job engagement. Job-related educational opportunities have been shown to increase the bond of an employee to an organization. Especially for younger workers, opportunities to learn provide them with a sense of accomplishment and a feeling of worth to the organization. Many learning opportunities might occur within a job assignment at a global location, requiring employee relocation. Pre-decision services can help companies and employees determine if the opportunity will be successful. Creating a growth-oriented workplace culture requires companies to change their approach to managing employees. Companies that focus on performance development as opposed to performance management are more likely to foster a culture of productivity. Managers must evolve into coaches who focus on an employee’s development for their current position, and the future needs of both the employee and the organization. Looking forward to where the organization wants to be will give managers a view as to training and development opportunities current employees can take advantage of for their growth and for the company’s benefit. Older managerial concepts such as annual performance reviews and allowing seniority to determine who should manage need to change. Managers as coaches need to give continual feedback and be available for employees in a fast-moving environment. Employers should give employees with the best skills relating to and inspiring other employees the opportunity to lead teams and projects. Three key factors drive global productivity and employee development: job engagement, talent management, and workplace culture. 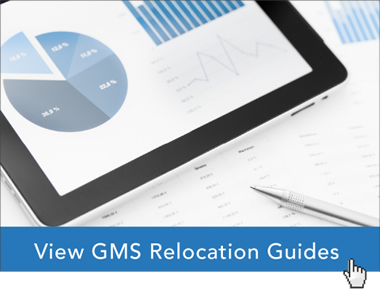 The global relocation experts at Global Mobility Solutions (GMS) have the knowledge and expertise to help your company understand how to improve productivity and promote employee development with a well-designed global relocation program. Contact our team of experts to discuss your global relocation program needs, or call us at 800.617.1904 or 480.922.0700 today.